This book contains eight generations of descendants of Jacinto Garcia de Sepulveda and Clara Fernandez de Renteria. It is believed that he was born in Zacatecas in 1604 and entered El Nuevo Reino de Leon (Nuevo Leon) in 1626. 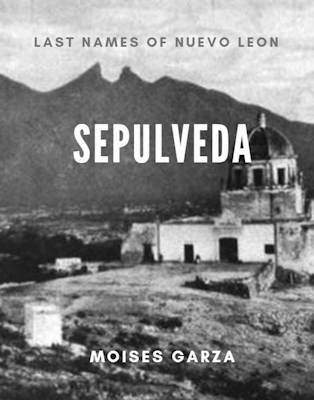 Jacinto Garcia de Sepulveda is considered to be the progenitor of the Sepulveda last name in Nuevo Leon, Tamaulipas, and Texas. Jacinto also had a brother, Bernardo Garcia de Sepulveda, that entered Nuevo Leon at the same time but I have no genealogical information on him or his descendants. As more research is done the second edition of this book may start with the parents of them, Anton Garcia and Ana de Sepulveda. Anther note of interest is that the Governor Martin de Zavala was half-brother of Jacinto through the maternal side. Jacinto also participated in many campaigns to pacify the area around Monterrey, Cadereyta, and Cerralvo. He married Clara Fernandez de Renteria the daughter of Gonzalo Fernandez de Castro and Maria Rodriguez. They had the following children; Gertrudis, Diego, Leonor, Antonio, Petronila, Ines, and Maria. 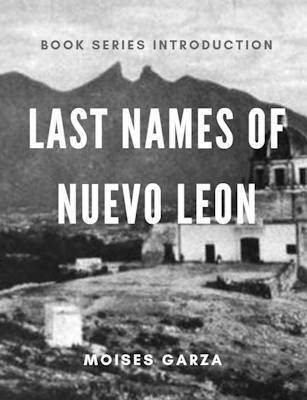 This book is an attempt to document the descendants of Jacinto Garcia de Sepulveda and Clara Fernandez de Renteria and even at 567 pages, there are many more to be discovered. Research is a never ending endeavor.